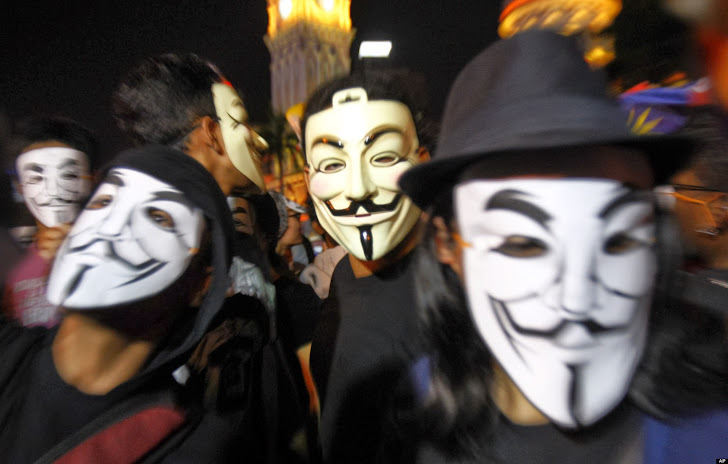 Since 2011, the collective hacking group, Anonymous and LulzSec were targeting both Government and law-enforcement websites of U.S and UK, by their own DDoS attack tactics which they used to communicate and plan on Chat rooms known as IRCs, but British intelligence agency GCHQ used their own weapon against them. According to the recent Edward Snowden document, a division of Government Communications Headquarters (GCHQ), which is also very well known as the British counterpart of the NSA, had shut down communications among Anonymous hacktivists by launching a “denial of service” (DDOS) attacks, making the British government the first western government known to have conducted such an attack, NBC news reports. The same DDoS technique the hackers use to take down government, political and industry websites, including the Central Intelligence Agency (CIA), Federal bureau of Investigation (FBI), the Serious Organized Crime Agency (SOCA), Sony News International and Westboro Baptist Church. 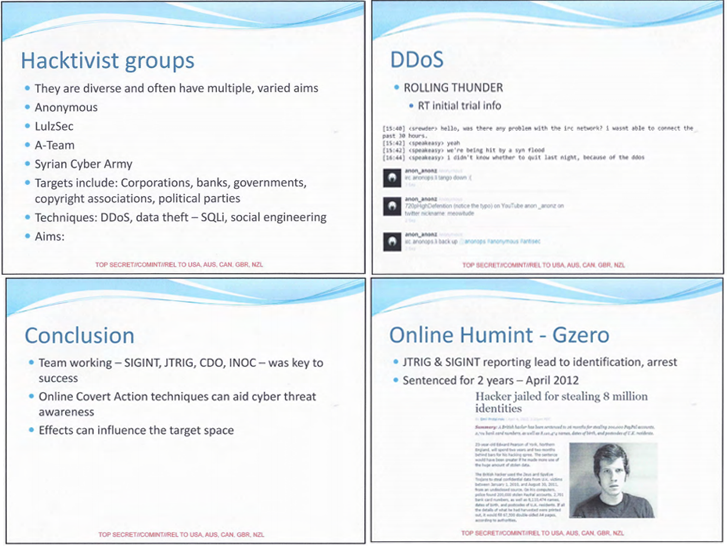 According to the PowerPoint presentation prepared for a 2012 NSA conference called SIGDEV, shows that there was a special GCHQ unit known as the Joint Threat Research Intelligence Group (JTRIG) launched an operation called ‘Rolling Thunder’ that perform massive DDOS attacks and uses other techniques to scare away 80 percent of the users of Anonymous internet chat rooms. JTRIG also infiltrated anonymous IRC chatrooms to trace hacktivists real identities and to help send them to the prison for stealing data and attacking several government websites. The operation allowed JTRIG to identify GZero, whose real name was Edward Pearson, a British hacker of age 25 from New York, who was prosecuted and sentenced to 26 months in prison for stealing 8 million identities and information from 200,000 PayPal accounts. Another hactivist Jake Davis, nick named Topiary, an 18-year-old member of Anonymous and LulzSec spokesman for Scotland, was arrested in July 2011 and was sentenced to 24 months in a youth detention center. Today Jake tweeted that, "I plead guilty to two counts of DDoS conspiracy and to my face these GCHQ bastards were doing the exact same thing" and "who are the real criminals?" In a statement to NBC news, a GCHQ spokesperson said that “All of GCHQ's work is carried out in accordance with a strict legal and policy framework,” and that its activities were "authorized, necessary and proportionate."